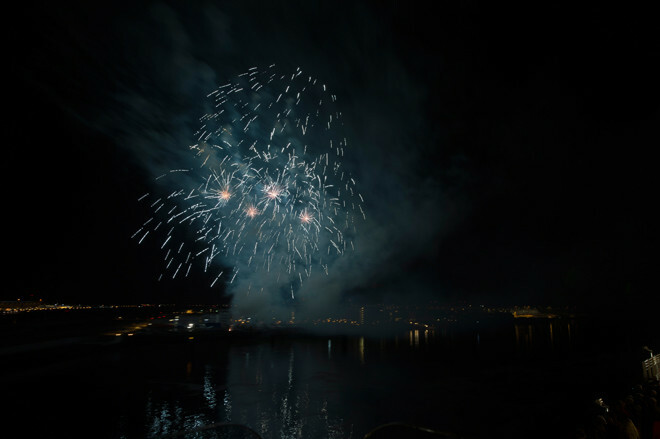 11.30 a.m. 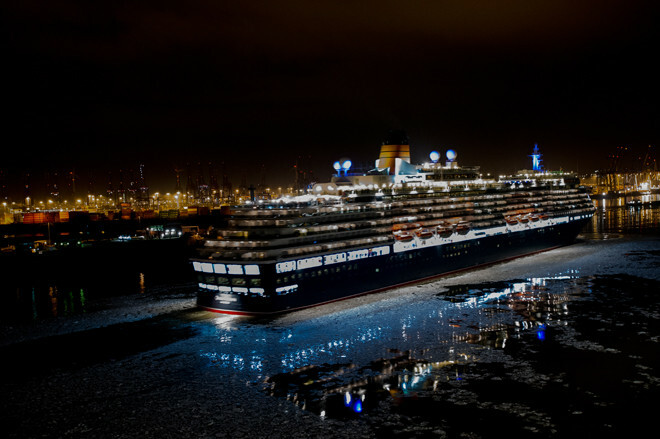 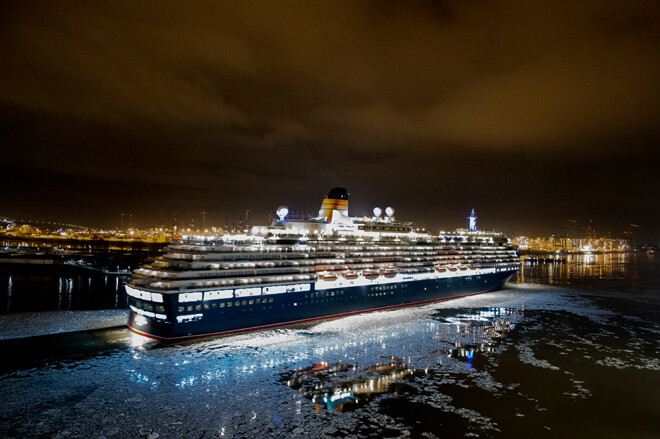 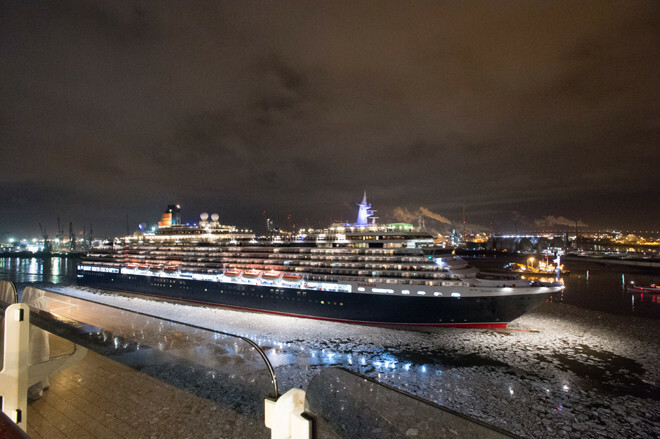 Transfer to the Queen Elizabeth and our new home for the next 4 ½ months. 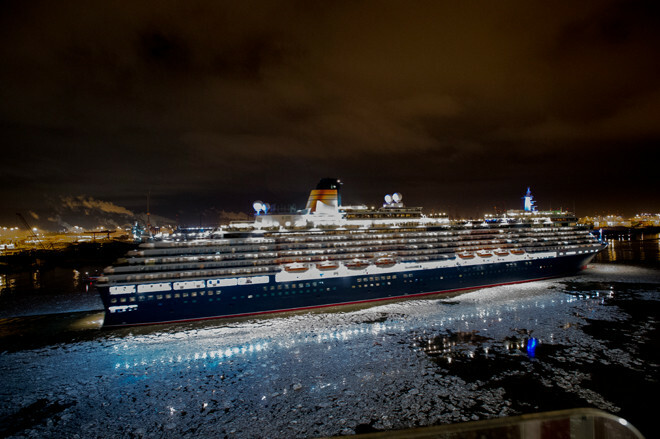 The evening sail away took place at 9 p.m. (21.00 hrs.) 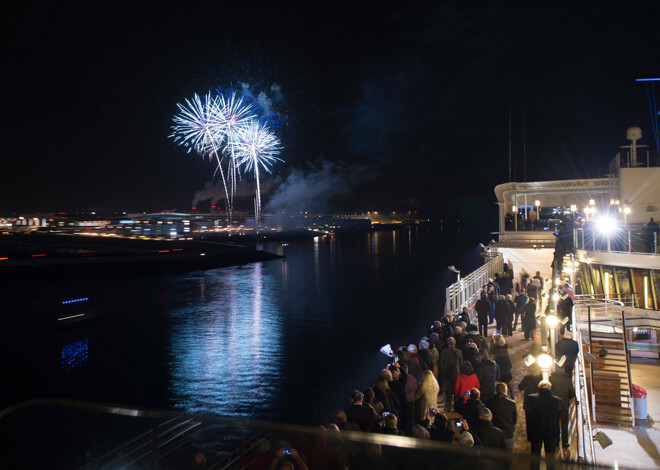 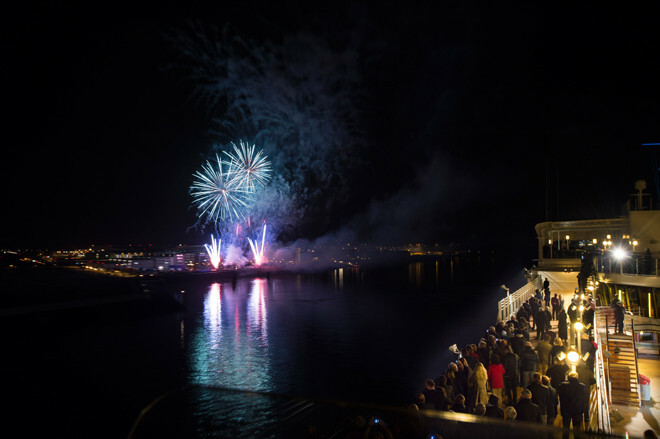 The Queen Elizabeth started her engines and the Queen Victoria that was anchored behind us drew up alongside of us and took over the lead as both ships sailed out of Hamburg on the Elba, of course accompanied by a fantastic fireworks display at 9.45 p.m. (21.45) from the grounds of Airbus which is situated on …the Elbe. 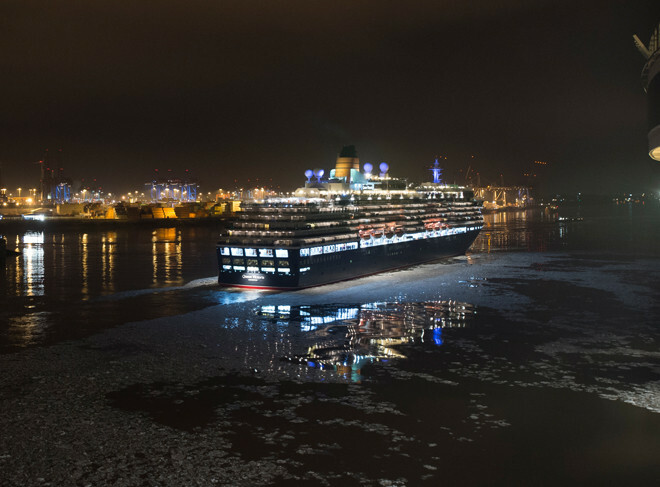 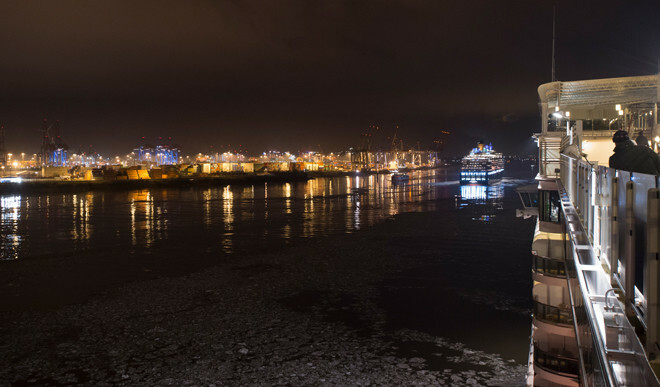 It was an exciting moment when both ships sailed side by side and passengers on both ships greeted each other and bade each other farewell and “Happy Sailings” from ship to ship across the Elbe. 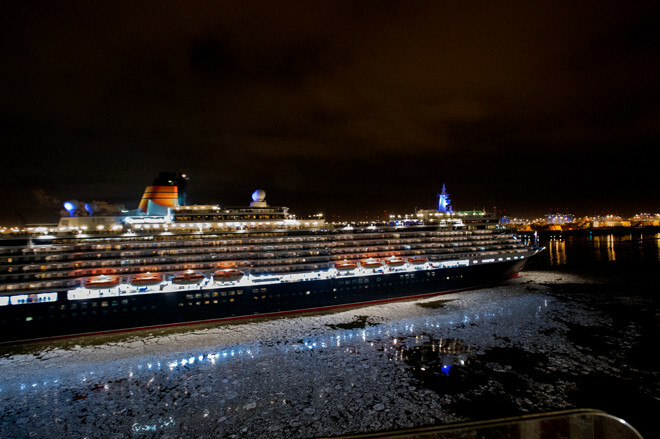 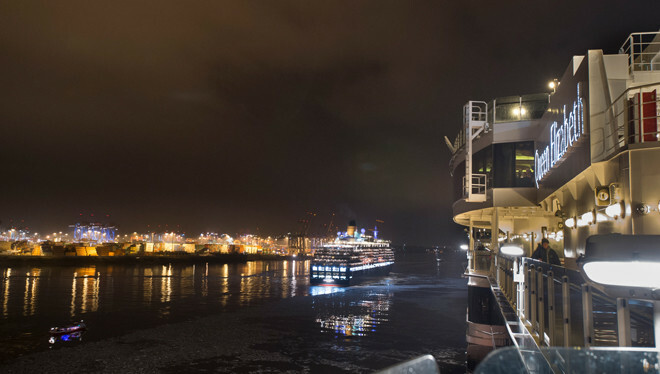 Passengers traveling on the Queen Mary II from Southampton where on board the Queen Elizabeth and will transfer to their ship in Southampton when all three sister ships set out on their World Tours on 10th January. 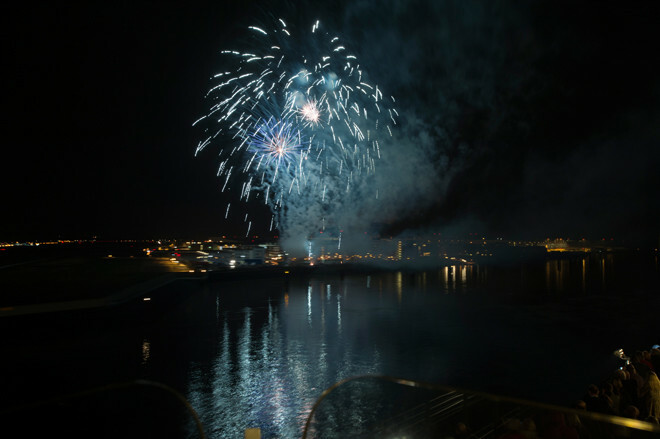 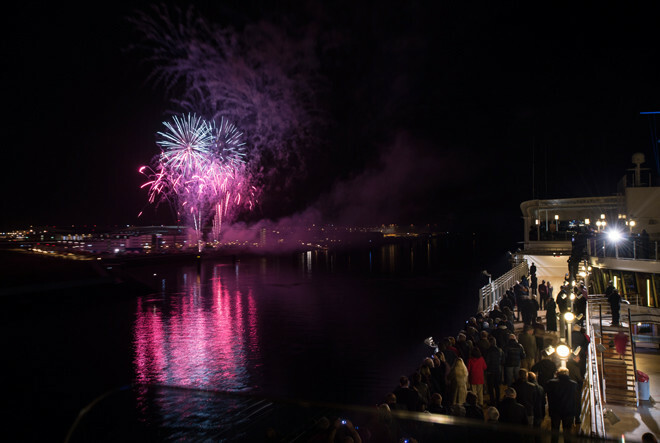 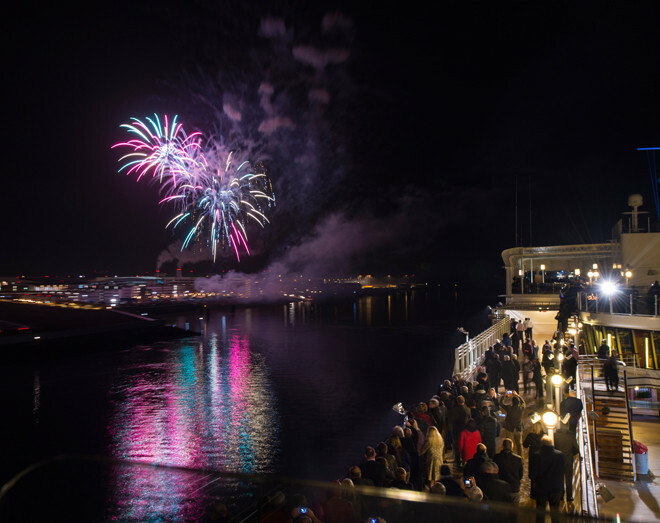 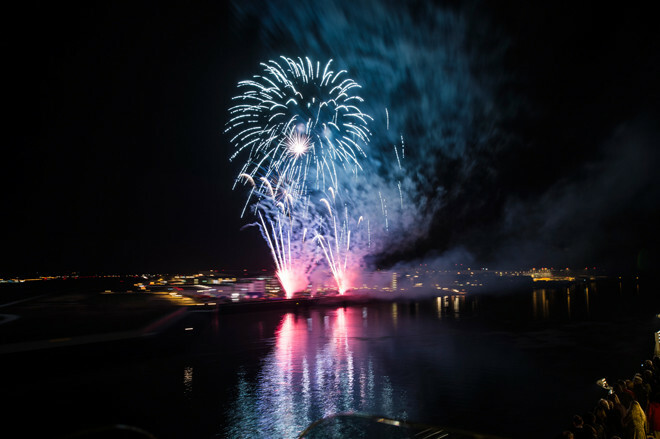 We hope to see another fireworks display in Southampton. 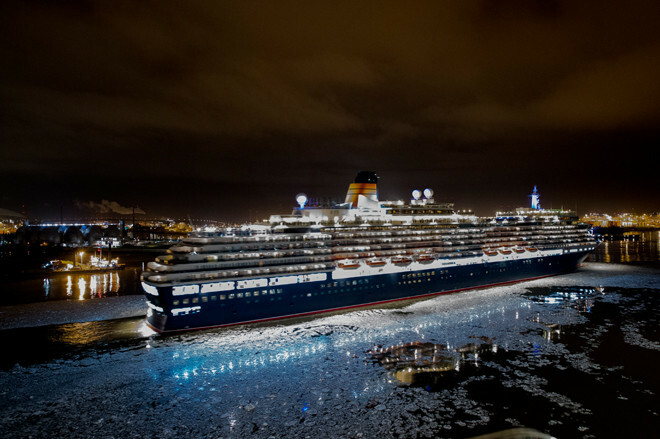 That will be an exciting moment when all three sister ships depart on their World tours and return on the same day 4 ½ months later!